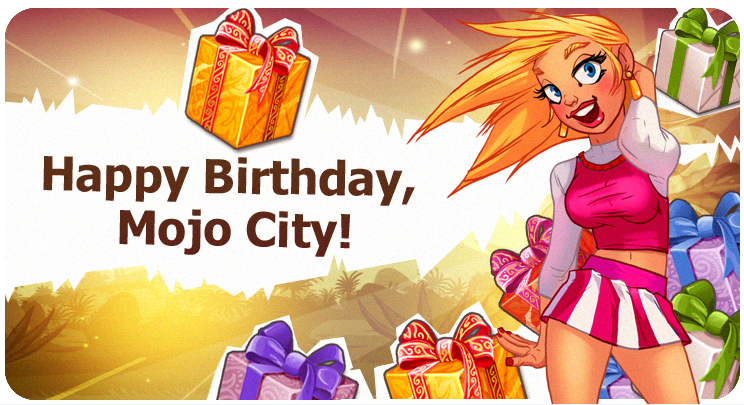 Dear musicians, it has been a YEAR since Mojo City has been opened for its inhabitans! Thus, we offer a contest where every participant wins a prize! Every musician should make a congratulation to our beloved city in a form they prefer: that may be either comics, or songs, or postcards or just sincerely warm words. Everyone who meets these simple requirements shall get a prize: Zink coffin, 100 stars, 200 Stem Cells. Amogst all the participants three winners (handpicked by the Administration) shall get super-prizes, which shall be (on the winners' choice): either +1 level to any item they currently posses (not above the item's natural cap), or 10 Ammo boxes, or 100 Rubies. The contest results shall be revealed on Friday, Nov27. Please add your character's name to the reply, and - good luck to everyone!